This entry was posted in History, Politics and policy, Telecom and tagged AllVid, ARRIS, Boxee, CableCard, Cablevision, clear QAM, DirecTiVo, Moxi Digital, NCTA, QAM, QAM encryption, RCN, Time Warner Cable, TiVo by robpegoraro. Bookmark the permalink. I live in New Smyrna Beach, Florida, and use Bright House Networks cable service. My main A/V system at home uses a HD-DVR (so I’m paying for full service), but I use QAM for my kitchen and guest bedroom TVs. I’d be pretty irritated if I had to give up QAM. To me, its biggest benefit is that no big ugly cable box is needed for these secondary systems. If cable boxes were the size of a pack of playing cards (which, frankly, they should be), I’d be glad to attach one to each of these secondary TV sets. However, with the de facto cable company control over box design, we haven’t seen the sort of innovation one would expect for these consumer electronics. Some of literally do not have room for a current-design cable box at the locations in our homes where we use QAM sets. I really wish CableCard had been a success. I would have been willing to get one for each of these secondary TV systems. I have basic cable through Cox in Vienna VA because I haven’t yet upgraded to HDTV (my old sets work why replace? I am a TiVo user and I don’t want to have a cable box to deal with. They’re ugly and I don’t have space for it. So for me QAM works. When my TVs break I’ll upgrade my TVs and TiVos and switch to cable cards but I also dislike having to rent the cards. And having just set up cable cards for my grandmother’s TiVo on FIOS I’m not looking forward to it. It was a week long debacle involving 3 cable cards (for 1 TV) and hours of my life I’ll never get back. I will do anything possible to avoid a cable box. If I was forced to get one I’d seriously consider dropping the cable and switching to over the air. I too wish that the cable cos had not succeeded in squashing cable cards or the various successors (Tru2Way etc.). Why oh why must I have a bulky, poorly designed box appended to my TV? And why do I get to pay for various fancy features on a TV that are rendered useless because the signal goes through a cable box? I would happily prefer an alternative that allowed me to use my TV fully without any addons, or a small addonn (cable-card like) that was incorporated into the TV. Thanks for your words on the QAM topic. I’m a Comcast Internet only customer in the mid-west. I dropped my TV subscription 2 years ago and ponied up the extra $10/mo for Internet only. 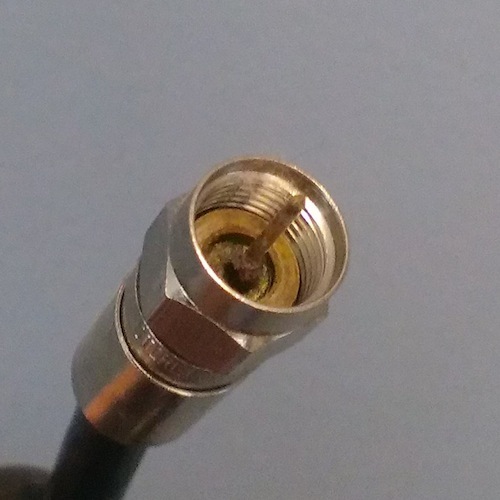 I still receive local channels and public service (CSPAN, etc) and the QAM on my LG TV lets me receive the HD signal on the broadcast networks. I use the Internet to watch cable TV shows I like via Hulu+ and Netflix. I also have an EyeTV tuner with QAM and it allows me to time shift my viewing. I am one of those folks who absolutely refuses to have a hideous cable box in my house. Besides being ugly, it defeats my ability to watch one program while recording another. I’m sure Comcast will find a way to screw it up in the not too distant future, and I’ll have to depend on the Internet for all of my TV watching. BTW, Cox Cable in Phoenix doesn’t require cable boxes for their basic tier… yet, despite being a Comcast Company. Cool seeing you on TVLand. How do you move away from such a beautiful town like Tewksbury? That place puts the garden in the Garden State–but the price of the beautiful scenery is having to drive everywhere and yet not having that many places to drive to. By the end of high school, I was desperate to go someplace with sidewalks and street lights, maybe even subways. Thanks, Rob. I grew up in the opposite of Tewksbury, so I get how you feel. Thank you for all the great info and best of luck with everything!